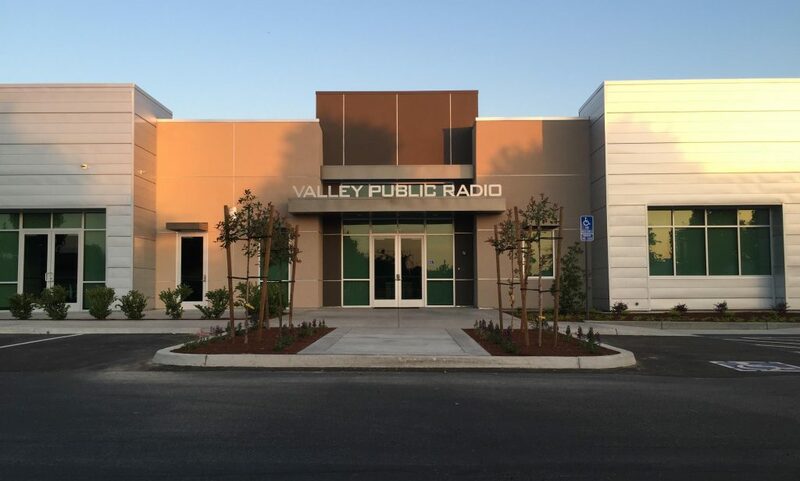 After many seasons of planning and fundraising, a year of design work and another year of construction Valley Public Radio moved into its new home in Clovis on May 19th 2016. 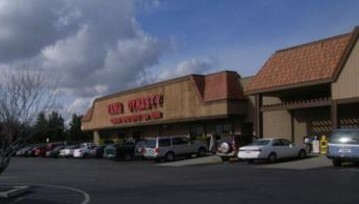 The 10,500 foot state-of-the-art broadcast center is located in Clovis, at the corner of Temperance and Alluvial Avenues in the Portal Sierra Research and Technology Park. The project includes new broadcast studios for the station, more than doubling the studio space when compared with the station’s old home. 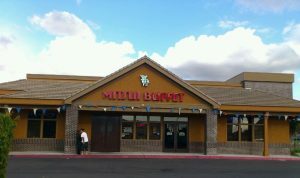 Join SBE66 as they host their June Meeting (Thursday June 29 at 7PM) from the new KVPR facility. Pizza and beverages provided, plus a tour of the station with broadcast engineer Scott Dean. DTV Repack – How Smooth Will Your Transition Be? Antenna replacement? How to prepare for a smooth and affordable transition. 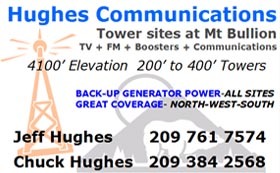 Plus, information on FM and DTV antenna systems. Mark Felig, Senior Systems Engineer for Jampro Antennas visits SBE66 for this presentation to take the ‘pack’ out of the DTV Repack. 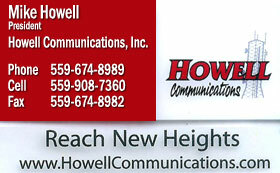 Information on FM & DTV antenna systems and installations available. 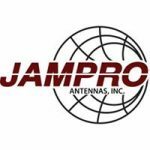 Senior Systems Engineer Digital Television Jampro Antennas, Inc.
Jampro Antennas Inc., is a leading supplier of antennas, combiners & filters and RF components for every application in the broadcast industry. From the first system delivered in 1954 to those installed today, Jampro builds each system to the specifications of the individual broadcaster. Today, over 25,000 broadcasters worldwide benefit from the quality and performance provided by Jampro systems. Mark Fehlig is a veteran communications engineer who has decades of experience at national and global brands such as Scientific Atlanta, Harris Corporation, Wavestream, Osborn Engineering and Georgia Public Broadcasting. 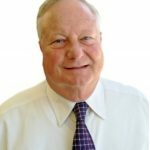 He was involved in the early years of developing satellite uplink and video compression technologies at Scientific Atlanta and Harris Corporation where he also contributed to sales, marketing and engineering as a TV District Manager. He led the transition from analog to digital for both DTV and IBOC FM radio as Director of Engineering for Georgia Public Broadcasting. 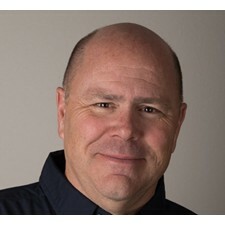 Mark Fehlig holds numerous professional memberships and certifications. They include the SBE’s CPBE as well as national board member for SBE, a Life Senior IEEE BTS member, AFCCE Full Board Member, ARRL-VEC and a Registered Professional Engineer with NCEES Council Record. 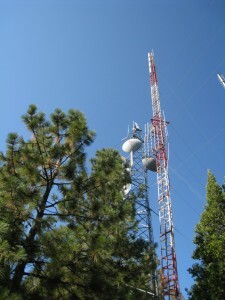 An FCC licensed Lifetime General Radio Telephone and Amateur Extra (WA6NCG), Mark earned his BSEE from The Missouri University of Science and Technology (UMR) and an MBA from Quincy University (IL). The FCC Spectrum Auction–What Happens Next? As the spectrum auction winds down, the FCC plans to open another opportunity for stations to negotiate channel-sharing deals. Kelly Fair, Western Regional Sales Manager for Lectrosonics discusses the next steps in the FCC’s incentive auction. What are the challenges for wireless microphone systems manufacturers and users given the wireless microphone frequency crunch? Lectrosonics is a leading manufacturer of wireless microphone systems and audio processing products for the film, broadcast, theatre, music and installed sound markets since 1971. Lectrosonics is a US manufacturer based in Rio Rancho, New Mexico. Kelly Fair has more than 20 years of sales, product management and business development experience in the professional sound industry. He spent 13 years with Sennheiser Electronics Corporation as Southwestern US District Sales Manager, Professional Products. Although this question has been asked many times before, the answer has always been less than satisfactory–until NOW! 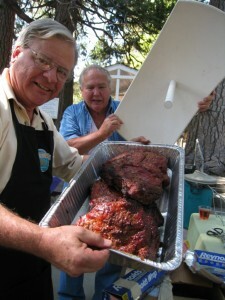 Yes, our own Ken Holden and Pat Fennacy not only know where the beef is, but how to cook it, slice it and serve it. One might wonder how two guys so busy cooking themselves with RF could find time to master the deep-pit BBQ technique. 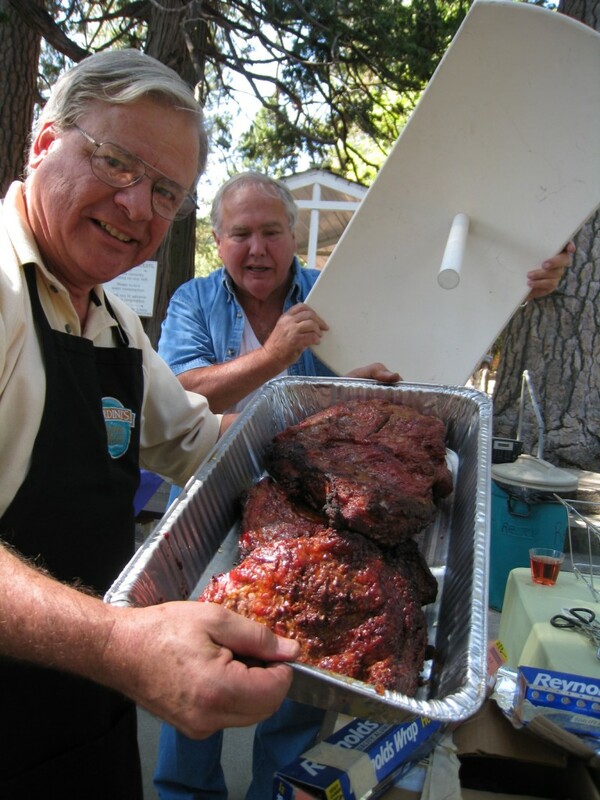 According to Pat, “I’ve spent so much time handing out baloney, that Tri-Tip seemed like a natural.” Good answer Pat! 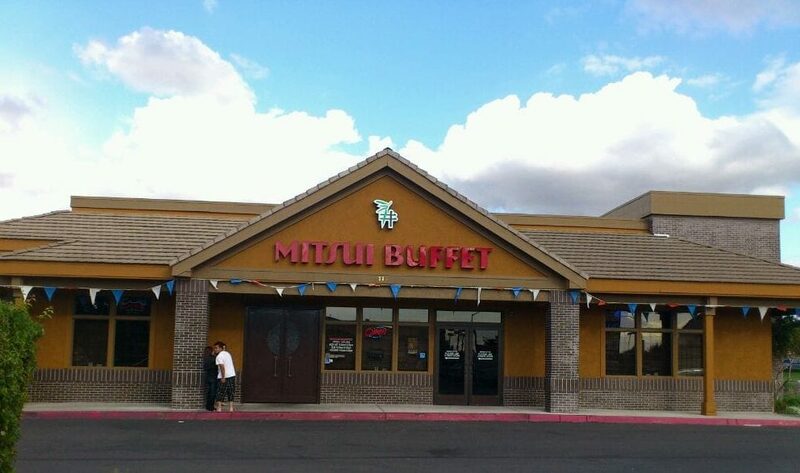 Now we finally have the answer to where the beef really is. Find it for yourself by taking the short drive up to the Meadow Lakes picnic area Saturday, September 17. Remember, this is an SBE66 family-and-friends event, so you better not be the only one in the buggy on the drive up the hill. 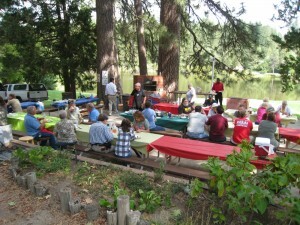 As always, SBE will provide the Tri-Tip BBQ and refreshments, but there’s more. That’s where you come in. 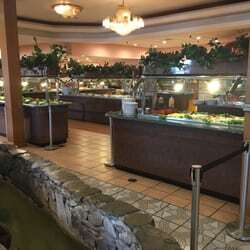 This is a pot-luck event. Attendees whose last names end in A-K should bring salads and/or side dishes. Names ending in L-Z should bring dessert items. It’s OK to break the rules if you have a special dessert or side dish you want to bring. Ice for the drinks is always welcome. The festivities officially start at noon, but help setting up the tables is always appreciated if you can arrive earlier. We’ll also figure out how to throw in an official SBE66 meeting (short) somewhere along the way. After you can eat and drink no more, join the caravan for a quick tour of your favorite Central Valley Broadcast transmitter facilities. That, my friends, is no baloney! See you at Meadow Lakes, Saturday September 17, at Noon. Don’t miss it!